West Yorkshire's police and crime commissioner Mark Burns-Williamson. West Yorkshire’s Police and Crime Commissioner, Mark Burns-Williamson, has reaffirmed his pledge to make the region’s roads safer following the publication of new figures which suggest illegal mobile phone use by drivers is rising. Almost one-third - 31 per cent - of motorists admitted to using a handheld phone behind the wheel compared to just eight per cent in 2014, in a recent survey of more than 1,700 drivers by motoring organisation, the RAC. Motorists caught using their mobile phone while at the wheel face bigger fines, but do they go far enough? The proportion of drivers who confessed to sending a message or posting on social media rose from seven per cent to 19 per cent over the same period. Some 14 per cent of motorists even owned up to taking photographs or videos with their phone while driving. The survey prompted Transport Secretary Chris Grayling to pledge to introduce tougher sanctions for illegal mobile phone use as soon as possible, a move which appeared to be even more urgent following the more research published this week which showed that the number of culprits caught by police nationally had fallen by almost half in four years. West Yorkshire was one of just ten police forces out of 43 police forces in England, Scotland, Wales and Northern Ireland that bucked the trend and recorded a rise in cases between 2014-15 and 2015-16. 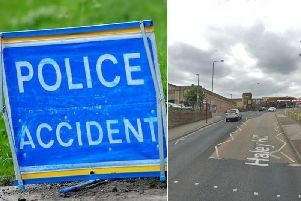 In a statement issued today, as a new crackdown on motorists began across Calderdale, West Yorkshire’s PCC Mr Burns-Williamson said: “I have seen the recent incidents reported in the press and I have listened to comments from members of the public and I want to be very clear in my response. Myself and West Yorkshire Police are determined to make sure our roads are safer. “Road Safety will feature prominently in the new Police and Crime Plan and a number of initiatives have already been put in place to try and address the concerns around road safety and crime on our roads in general. “I have invested in Automatic Number Plate Recognition (ANPR) technology across our county with some impressive convictions and outcomes. “Operation Steerside is currently operating in Bradford and is a concerted effort to target those that are committing multiple road safety and traffic offences, including using a mobile phone whilst driving. So far nearly 5,000 people have been caught since it launched in February. A similar operation has also been launched in Calderdale today. “I have representation on the Safer Roads Partnership which is a partnership of all 5 districts working together to tackle road safety. I have supported and funded various road safety initiatives such as a road safety DVD ‘It’ll End in Tears’, baby safety campaign ‘Strap Me Not Wrap Me’, ‘Safer Travel West Yorkshire’ with Metro, road safety charity ‘BRAKE’ and Project EDWARD (European Day Without A Road Death). “The consequences of losing control of your vehicle can be truly devastating and have a wide impact upon the community. I believe that changing attitudes towards driving whilst on a mobile phone needs to be done with a combination of education and enforcement. I welcome the government plans to increase the penalties for driving whilst using a mobile phone but also the awareness this will give to the potential life changing or fatal consequences that can be caused by not paying attention when driving. “I have also seen West Midlands Police’s scheme around tackling cars passing cyclists at dangerously close distances. I will be in touch with West Midlands to get updates and will speak to the Chief Officer Team of West Yorkshire Police to look into whether it would be something we can replicate here in West Yorkshire. Motorists caught using a handheld phone are currently given three penalty points and a minimum fine of £100, but this is set to be increased to six points and £200 under the new government plans, with tougher penalties for new drivers and drivers of HGVs.